Ellen Pao sued her former employer, the venture capital firm Kleiner Perkins Caulfield and Byers, alleging she was discriminated against and sexually harassed. She lost the case but is seen as a leading voice on harassment in Silicon Valley. This week, another big name in tech was toppled by accusations of sexual harassment — venture capitalist Steve Jurvetson, an investor in Tesla and SpaceX who left his prominent Silicon Valley company. The big-money world of Silicon Valley remains dominated by men and remains a hard place for women to speak out if they want to join the ranks of its richest. And some women think the best way to fight harassment is to tread carefully and get to the top. It's definitely harder for women to get there. Last year, nearly 6,200 new companies got close to $60 billion in venture capital funding, according to the venture capital database PitchBook. But the share of funding that went to women was just 2.19 percent. That's less than in any year during the past decade, except for 2008 and 2012. Among the few firms started by women is Fem Inc. The company, which does research that looks at how technology and media can engage people to make positive choices, raised $5 million in venture funding. But it wasn't easy to get the funding for the company, co-founder Rachel Payne says. "It was a surprise to me that it was more challenging to raise money given our stage and level of experience than earlier in our career," she says. "And some of them (the investors) quite frankly offered up the advice that it's because we're women." One of Fem Inc.'s three founders has a degree from Harvard in mathematics and a Ph.D. from Caltech. Another has a master's in computer science and led engineering teams at Google. Payne has an MBA from Stanford and this wasn't her first startup. Payne says that in her 20 years in tech she saw and experienced harassment and bullying because she was a woman. Yet she doesn't want to share those stories publicly. "If there's any hint of something like this — of which many VCs ... could be guilty, then you're definitely going to have problems raising money," she says. "It's hard to imagine a situation where you're being embraced for speaking out." Yet the choice to stay silent about her own experiences isn't a simple one for Payne, who considers herself a feminist. She wants women to speak out. But she also believes that one of the best ways to stop harassment is for women to succeed in tech. "We would need more ... women to reach places in power to actually make this difference," she says. "Because then they don't depend on someone else for their power and they won't tolerate it." Payne is not alone in making the choice to stay silent. NPR spoke with many women who would only talk off the record about verbal and physical harassment by CEOs, venture capitalists and colleagues at big tech companies. One woman who did speak out is Ellen Pao. In 2012, she brought a lawsuit against the prestigious venture capital firm Kleiner Perkins Caufield and Byers. Pao, then a junior partner, says she was discriminated against and experienced sexual harassment. At the time, few believed her. "There's still a skepticism of ... 'If we haven't heard any of these stories how can they be true?' " she says. Pao lost her case. And she says it definitely hurt her career. But it began what some in Silicon Valley are calling "the Pao effect." Despite potential career setbacks, more women are telling their stories. "I think nobody wants to tell these stories," Pao says. "It is like your worst experience and you go out and you share and you hope for change." Since she came forward, Pao thinks there has been change, although it's slow. "We do see that there have been people who are getting fired" over harassment, she says. "And people are getting a little bit more transparent about why." But in the Valley — where so much money is at stake — Pao says it remains hard to push out anyone who has made a lot of money for investors. "There's a skepticism around, 'Well, are they doing it the right way ... well, I don't know but I benefited from it so I don't want to criticize it.' "
As Pao sees it, it's a two-pronged fight. She is now an investment partner in Kapor Capital, which seeks out companies founded by women and minorities. Meanwhile, she thinks the more stories of harassment that come out, the more likely other women will be to take the risk of speaking up about their own experience. This week, a big name in the tech world left his job amid accusations of sexual harassment. His name is Steve Jurvetsen. And people in Silicon Valley know him well as an investor in the likes of Tesla and SpaceX. His case underlines a reality of the tech world. Companies there remain dominated by men. But in Silicon Valley, some women think they've found the best way to fight harassment. Take charge of the company. Here's NPR's Laura Sydell. LAURA SYDELL, BYLINE: Every day, new entrepreneurs flock to Silicon Valley with fantasies of turning a startup into a billion-dollar business. Last year, over 6,000 new companies got close to $60 billion in venture capital funding, according to the venture capital database PitchBook. But the percentage of that funding that went to women was a little over 2 percent - less than each of the last four years, which is what makes a company like Fem Inc. unique. It does research that looks at how technology and media can engage people to make positive choices. It raised 5 million in venture funding. But it wasn't easy getting that money says co-founder Rachel Payne. RACHEL PAYNE: It was a surprise to me that it was more challenging to raise money given our stage and level of experience than earlier in our career. And some of them, quite frankly, offered up the advice that it's because we're women. SYDELL: And this wasn't just any three women. One co-founder has a degree from Harvard in mathematics and a Ph.D. from Caltech. The other has a master's degree in computer science and led engineering teams at Google. Payne has an MBA from Stanford, and this wasn't her first startup. Payne's been in tech for 20 years. And along the way, she's seen and experienced harassment and bullying because she's a woman. Yet she doesn't want to complain publicly. PAYNE: If there's any hint of something like this - of which many VCs, by the way, could be guilty - then you're definitely going to have problems raising money. It's hard to imagine a situation where you're being embraced for speaking out. SYDELL: Yet it's clearly a complicated equation for Payne who considers herself a feminist. She wants women to speak out, and yet she believes part of the route to getting rid of harassment is for women to succeed. PAYNE: Yes, absolutely. We would need more people, especially women, to reach places in power to actually make this difference because then they don't depend on someone else for their power, and they won't tolerate it. SYDELL: Payne is not alone in staying quiet about her experience. In the last couple of days, I spoke with half a dozen women who would only talk off the record about verbal and physical harassment by CEOs, venture capitalists and colleagues at big tech companies. One woman who did speak out is Ellen Pao. 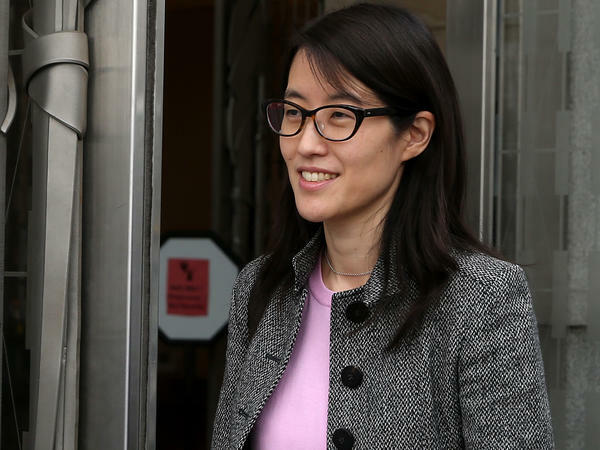 In 2012, Pao brought a lawsuit against the prestigious venture capital firm Kleiner Perkins. Pao, then a junior partner, says she was discriminated against and experienced sexual harassment, but few believed her. ELLEN PAO: There's still a skepticism of, you know, if we haven't heard any of these stories, how can they be true? SYDELL: Pao lost her case. 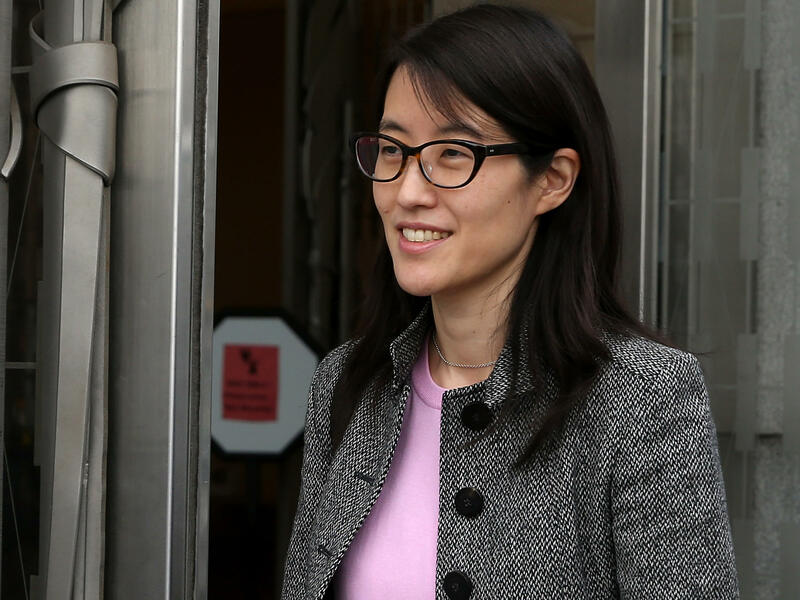 And she says it's definitely hurt her career, but it began what some in Silicon Valley are calling the Pao effect. Despite potential career setbacks, more women are telling their stories. PAO: I think nobody wants to tell these stories. It is like your worst experience. And you go out, and you share. And you hope for change. SYDELL: And Pao says she is seeing change, though it's slow. PAO: We do see that there have been people who are getting fired. There are people who are getting moved out. And people are being a little bit more transparent about why. SYDELL: But in the Valley, where so much money is at stake, Pao says it remains hard to push out any big star who's made people rich. Laura Sydell, NPR News, San Francisco.